From a door that becomes a ping pong table to a hidden one; meet twelve of the most creative doors to decorate your entrance. This cool door is for all you big kids out there, designed by Tobias Fränzel, the door flips into a ping pong table, all ready for gameplay. And after you are finished, flip it up again and its back to being a functional door. Created by Matharoo Associates for a diamond merchant in India, the door is a whopping 17 feet high and five-and-a-half feet wide, and comprises 40 sections of Burmese teak, each of them nearly a foot thick. Each section revolves around some pretty complex machinery: The door's single pivot hides a counterweight, 80 ball bearings, and 160 pulleys. 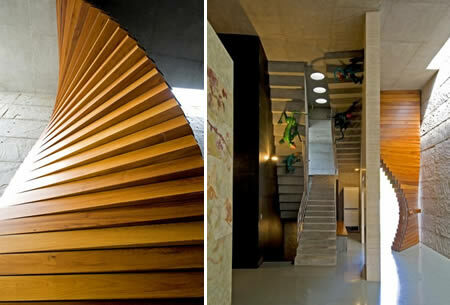 Constructed of polished wooden panels, the door is designed to be opened in a similar way as folding fans. 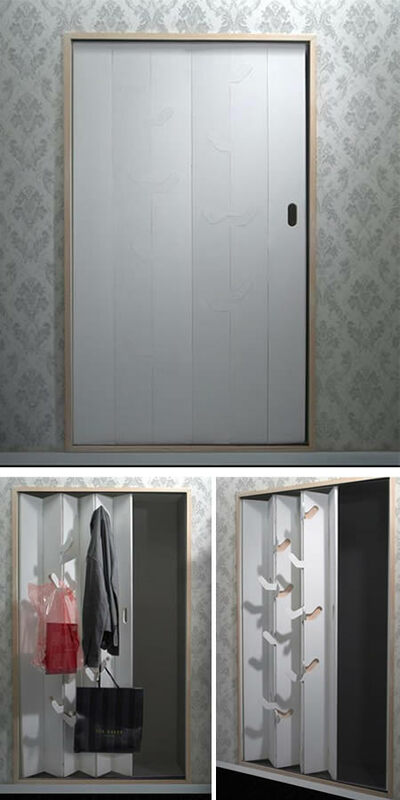 Whenever you open the door, these boards will gradually move away to welcome you. Hoho, that's cool. It was done by a talented artist from Argentina named Leandro Erlich. 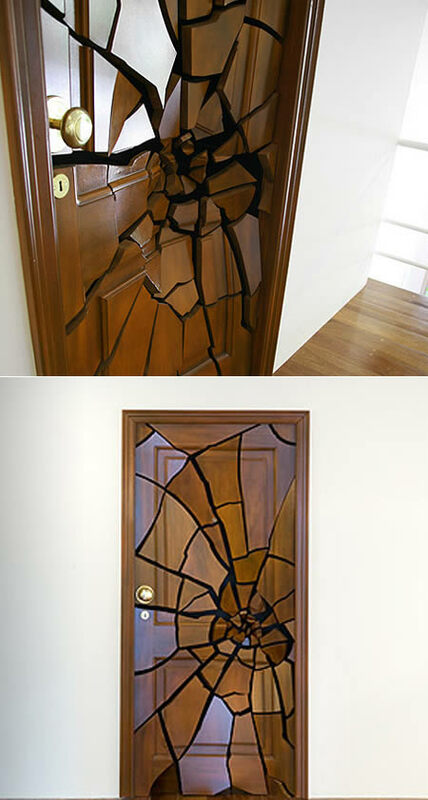 This shattering door was on display at the Luciana Brito gallery in São Paulo, Brazil. A door is a door, is it? 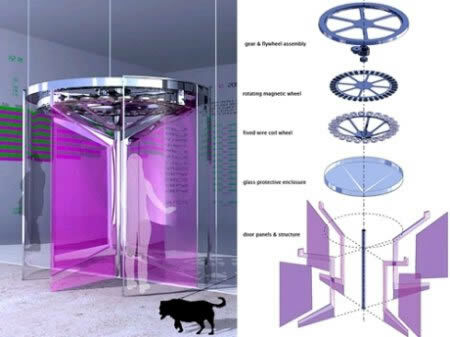 Fluxxlab from New York is working on their Revolution Doors that come with a turbine powered by folks who pass through it whenever they enter or exit the building – sounds like the perfect door to install in all those glitzy casinos in Las Vegas considering the sheer amount of human traffic there. Taking cues from the idea of how water passes through a turbine and powers it, the Revolution Door boasts a redesigned central core that is capable of converting the motion of a spinning door into electricity efficiently. I wonder just how much in power bills can the building management save each month with this implemented. Light + air door Luna is a simple and understated door with a mysterious character that provides a surprisingly functional feature. The series of holes in the door can be opened and closed by sliding the knob; which adjusts the amount of light, air and noise between two rooms. The door is constructed of a hollow core with an interior panel that slides from left to right. The exterior surface can be skinned in a variety of wood, metal and fabric materials. An open door invites people to move between spaces. A closed door says privacy. Luna offers a state of being between open and closed. Reminiscent of architectural light screens and gangster era speak easy of Luna doors and expands the space between rooms. When it comes to hooking up a hidden door in your crib, you essentially have three options: you can build one yourself, you can purchase a premade revolving bookcase from an ordinary wood-working company, or you can opt for a precision hiding system from Creative Home Engineering. 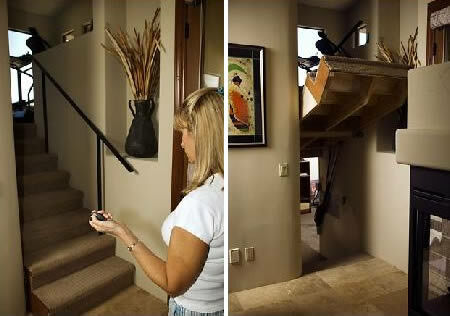 As Creative Home Engineering states, “a thief can't burglarize a room he can't find.” So, to make sure your hidden door stays hidden, Creative Home Engineering offers a number of non-traditional hiding machines. Sure, they've got the standard revolving bookcase and sliding wall panels. But, the company also constructs hidden doors from grandfather clocks, fireplaces, paintings, stairwells, and other household fixtures. Priced from $5-$250K, you'll probably want to make sure you've really got something big to protect to make the purchase worth your while. But, even if you don't, Creative Home Engineering claims that a quality hidden door can make a solid investment from an appreciation standpoint. And, if you've got nothing to hide, the bragging rights are definitely worth something as well. 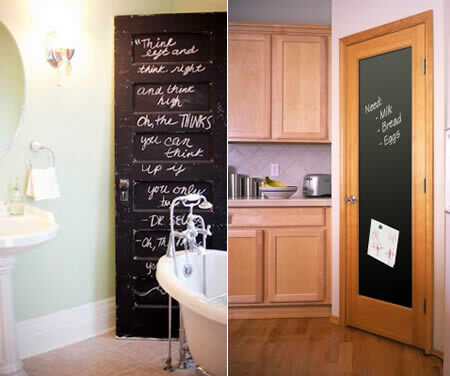 How about having a chalk door in your bathroom or kitchen? It's cool and a great way to leave notes of inspiration, messages or reminders. In this door, the hooks are hidden in it while closing. Only when you open the door, they become available. Sticker industry may get a setback because their “Push” and “Pull” stickers may soon get redundant. 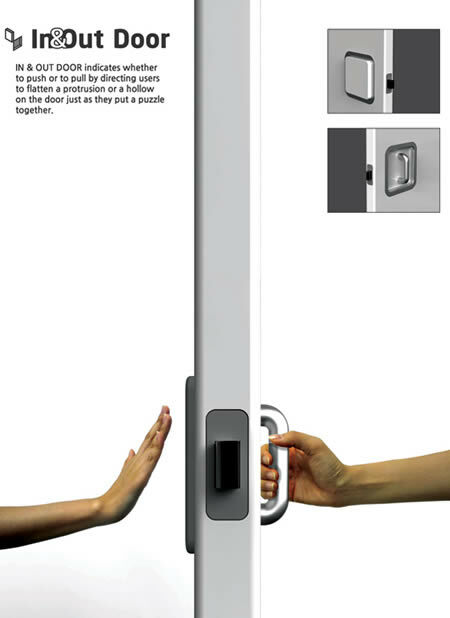 The In & Out Door solves the problem of indicating push or pull on doors by making the door handle intuitive. On the “push” side, there is a flat panel and on the “pull” side there is a handle. Instinctively you know which side of the door opens which ways, and you get crowned as a super genius! This is the front door from the The Moxie Spot, on Atlantic Avenue. The three-in-one design is made for adults, children, and pets, all at once. The Moxie Spot is a family establishment and this copper door communicates that a great deal of effort is put into making everyone feel at home there, from the tiniest to the tallest of guests. No matter what size you are. This automatic door is always fit for your size. The Etaf door makes users feel like they're aboard a science fiction spacecraft, but the technology used to power it is pure 21st Century. The size of a standard-size door opening, the Etaf consists of about 35 rows of two-inch tall, vertical sliding metal bars that are split down the middle. 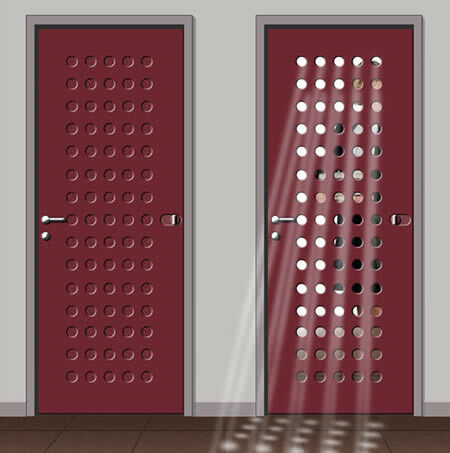 When a user approaches the doorway, infrared sensors along the top and sides of the door sense a person's height and width. The corresponding bars mirror the silhouette, sliding the metal stripes on the door open just enough to let them through. It exhibits personalization at its best, with everybody who enters getting their own specific way in. 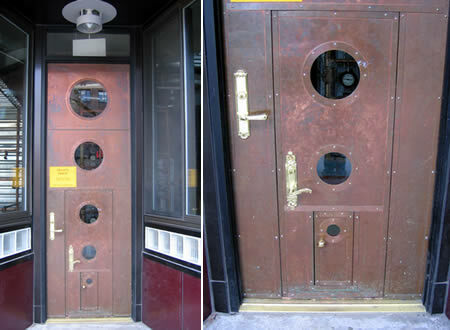 This might be one of the coolest doors ever. While Dutch doors have been around for a long time, you don't see them much anymore. Weather Shield Dutch door has the two operable panels that make this door style famous, plus the lower half has a built-in shelf. What's also cool is that Weather Shield will trick this door out however you want. Like glass? Get a window. Like beads or raised panels? Get those too. If you or your customers are on the hunt for a kid-friendly door, I don't have to tell you that this door is part-and-parcel, fast-food fantasy for little kids. But it's also a great feature if you build in any climate that has a few months of perfect temperatures — just open the top panel and leave the bottom panel shut. In comes fresh air — and in stays Junior (or the dog, or whatever.) Plus it looks really good. And for those not-so-perfect climes, this door — unlike Handy Andy's — is tight. Both halves close (and lock) positively against first-rate weather strips. 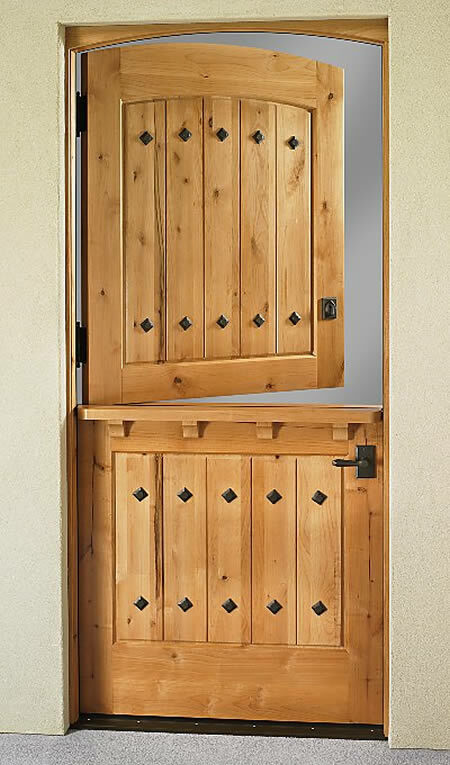 Despite going Dutch, this door system is part of the company's Spanish Colonial Collection. It's available in flat, beaded and raised-panel styles. There's no half-effort here.